Pauline, Stourbridge CP's Co-ordinator, will abseil to raise funds for Stourbridge CP! Stourbridge CP Welcomes New Volunteers! 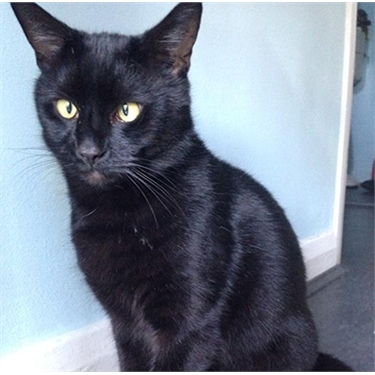 We’re very pleased to announce that the cat crowned our National Black Cat Day champion is… Bobby! “He hid for the first two days when we brought him home but now he is the most loving friendly little cat and he snores like a trooper. We couldn't be without him!" January Jewels for Adoption - How Can You Resist? International Cat Care - Free PDF book online: "Essential Cattitude: an insight into the feline world"
Do you need help re-homing a cat or with a stray cat? Please read this first. Play the Weekly Cats Protection Lottery! Recycle your old car for charity!